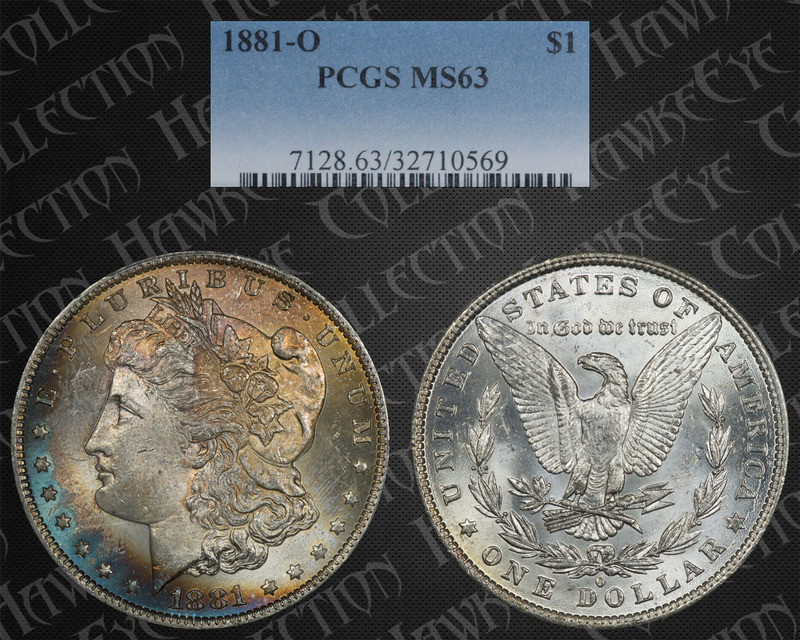 Comments: When acquired we posted these pictures on the web site CoinTalk.com and the coin drew some rave reviews. 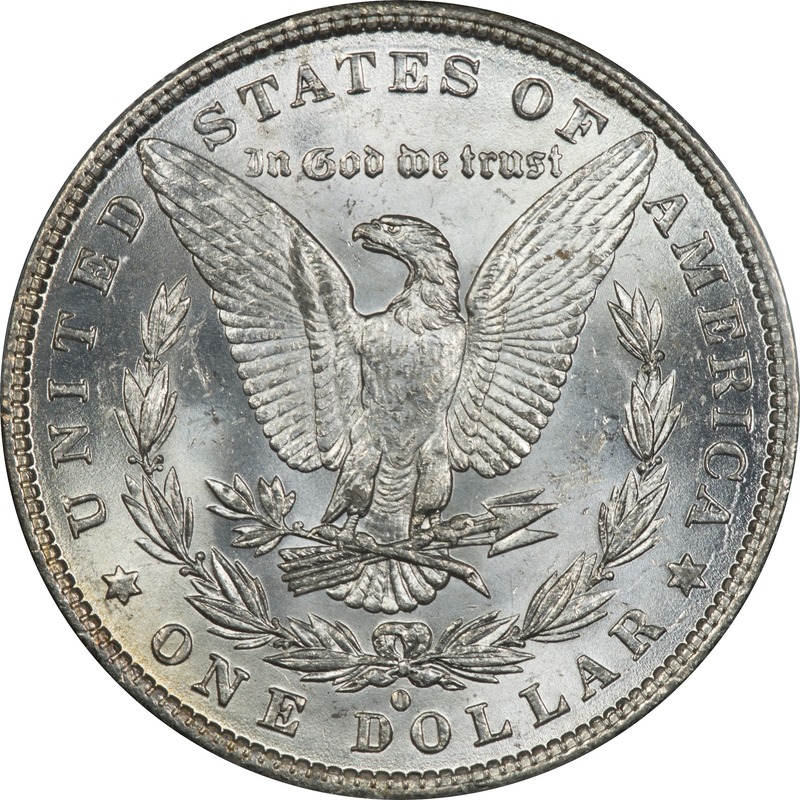 The richness of the blues really draws attention and the coin demonstrates the right color progression to be genuine color. We would not argue with the grade because we see enough small scrapes and bumps to think the graders got it right. This is a coin that is hard not to like. This looks to us to be a long term bag occupier with other coins over and under it while it was exposed to various reagents. 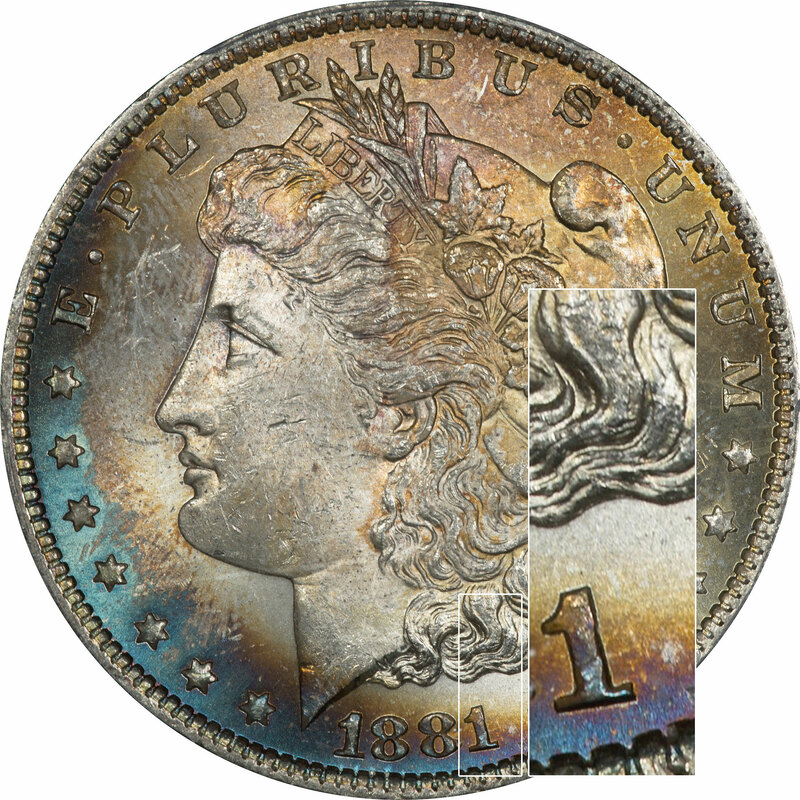 The crescent on the obverse would indicate that a coin was covering all but that area, and that it shielded to rest of the coin from the same exposure. Toward the back of the hair and cap the exposure was much lighter than the area in front of the neck and face. The former is early first cycle toning. The royal blue and magenta comes later and indicates much more exposure. This color comes in the second and third cycle.